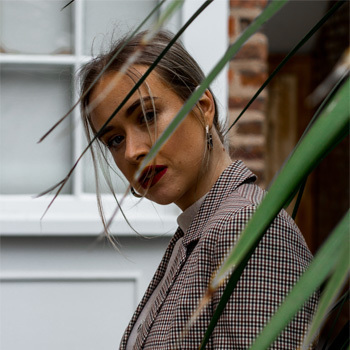 It’s been a bit ‘think-piece’ heavy on my blog over the past couple of weeks so today I thought I’d dial things down a touch and bring you a lil’ fashion post, change things up a bit y’know? You’re actually lucky you’re getting this post at all today because I won’t lie to you, I’m heavily addicted to my Nintendo Switch right now and it’s becoming a bit of a problem. I used to play a lot of games back in the day, but reined myself back a bit once I started working and also blogging. Fast forward to 2019 and I’ve actually had no console since I left London last year as my PS3 seems to be missing some rather crucial elements (namely the power cable which I’m approximately 80% convinced is gathering dust somewhere in my first house share). I decided therefore to pick up a Switch in the Very sale over Christmas and now I’m pleasantly whiling away the time playing Lego Harry Potter – a solid choice you must agree. Switch addiction aside, today I wanted to talk to you about one of my other very favourite things right now and that is knitwear. I always become fully obsessed with all things woolly and warm around this time of year, and this year especially considering I’m now living back up North where things can only be described as Baltic in January. You will have seen a lot of jumpers floating around my life recently if you follow me on Instagram, and this bad boy is the newest addition to my collection very kindly gifted to me by the babes at Femme Luxe who also have a fantastic selection of women’s dresses. I decided to wear it at the weekend as I knew the weather was likely to leave a lot to be desired and boy was I right. While I didn’t have to suffer through any of the promised rain, Saturday morning dawned absolutely freezing and I headed to Manchester full of trepidation for my shoot. I decided to be clever and saved the warmest outfit for last which comprised of this jumper* and my favourite pair of mom jeans. These jeans are far too big for me now but if I cinch in the waist with a belt I actually quite like the paper-bag waist effect it produces and it makes me feel quite chic! 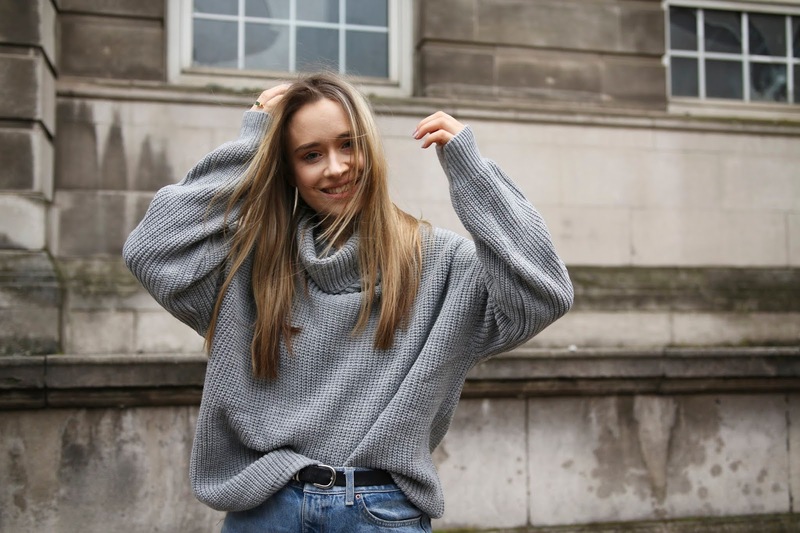 I’m actually completely enamoured with the jumper* – not only is it 100% the warmest thing in my wardrobe right now, the quality of the knit is fantastic and the exaggerated oversized fit makes it incredibly comfortable – perfect for days out or curling up on the sofa in front of the fire. The cowl neck adds a totally chic touch and I love the deep grey shade – it’s unlike anything else I have in my wardrobe and that makes it a winner in my book. Do you like how I styled it? How would you wear it? Let me know in the comments and click here to view the full selection of dresses from Femme Luxe! IS WORKING FROM HOME REALLY EVERYTHING ITS CRACKED UP TO BE?